Thanks! I used a mute group to bring down the drums/percussion. You could also use the “duck” feature in the Performance Track to achieve a similar result. You can transpose chords in the master track OR on the chord itself by or by holding down the “tonality” step component button. Double checking because this one has too many rules: is it ok to tweak the initial settings of the accepted presets or do we need to use them as-is? Asking because I’ve managed to make the best sub-bass from the saw bass. Tweak away. You just need to use the plug in slot one. And feel free to dshare that preset! EDIT: Uploaded a new version! I wasn’t happy with the original outcome. Wow, really nice use of a single pattern. I like how it develops. Did you use lots of mute groups? Yes, I’m using 6 of them - super handy feature! I actually didn’t know about mute groups before reading the posts here. A bit of a tangent: I’ve always been an MPC person, but the TE/Elektron way of doing things with steps and parameter locks is looking more interesting to me these days. I might replace it with an Octatrack or Digitakt (I haven’t decided yet). I think there’s definitely room for both. This is much more like programming music, amazing and forces you to think in a different way. It’s just less linear. I made this on a flight back from rome. 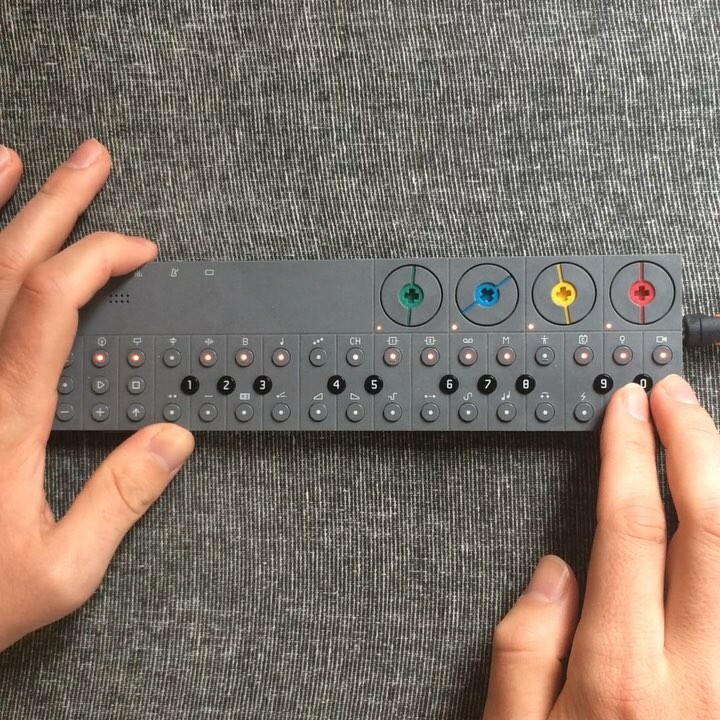 the distortion effect of the OP-Z has some serious punk vibe and is glueing bass and kick nicely together. The Single Pattern was copied to the 16 slots, each using a different mute group. Here’s my “first week of ownership” effort. Here’s mine! I had a ton of fun with this. LOVE the use of distortion here awesome work! This is BEGGING for vocals, I love it!